China's first manned spaceship - Shenzhou V (Divine Vessel V) blasts off into space at the Jiu Quan Satellite Launch Center at October 15, 2003. Yang Liwei, China's first astronaut in space [yuhangyuan in chinese], spent 21 hours in space, orbiting the Earth 14 times. Shenzhou-5 traveled 600,000 km during the flight. In 1992, the country started a manned spaceflight program, in the wake of success in sending man-made earth satellites into space. Spacecraft of the Shenzhou series ventured, successfully, into the outer space four times from 1999 to 2002 under the program. Yang's return to Earth from outer space signifies completion of the first step taken by China to implement its plans for space exploration. More steps are to follow -- attempts for space walk, rendezvous and docking of spaceships and setting up of a space lab. Sometime from now, up in the space, high over the Earth, there will be a space station which, like Shenzhen-5 that has just made history, will be designed, built and manned by the Chinese. >from *China Aerospace Science and Technology Corporation*. October 15-16, 2003. 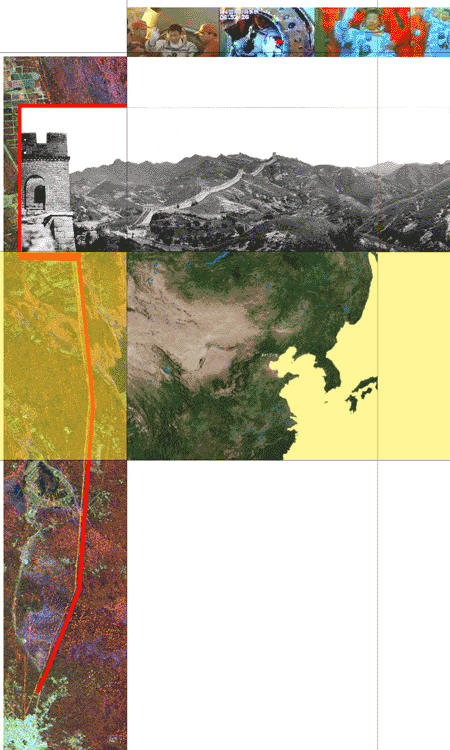 > backgrounder: chronology of china's space program. > the international space station overview.